Newborn care should be performed within a reasonable time after birth by a pediatrician accredited by Philhealth. at the lying-in or maternity clinic where you will delivery your baby.
. Philhealth will mail your Prenatal Care Refund check to your address. The Hospital and the Ob-Gyne must be Philhealth-accredited. The Hospital and the Pediatrician must be Philhealth-accredited to claim newborn care benefit. The Clinic and the Midwife must be Philhealth-accredited. NO MORE DIRECT FILING by PATIENT at a PHILHEALTH BRANCH. Make sure your PHILHEALTH benefit has been deducted from your Hospital Bill BEFORE DISCHARGE. Hi Larry josel, get your yellow card from the government organization you are connected with or to the office where your submitted your application — your local government or your barangay or your DSWD. Hi toni, yes, but you should have filed your prenatal ORs together with your maternity papers. No more direct filing with Philhealth. Hi, i’m still employed. I’m on leave since oct 1, and my due date is nov.29. Last premium payment is august based on coc. Have no salary so they can’t pay for my premium. Can i still avail of phlhealth benefit or should i self pay? Hi meileen, you can avail of Philhealth because you’ve paid at least 3 of the 6 months prior to Nov. Ask for a cert of premium payment (May to Aug 2014) and accomplished claim form 1. Goodpm Ms. Nora, ask philhealth accredited ung maternity clinic n pinnganakan ko, actually 6k lng po ung offer nla s normal delivery pg wlng PH, ako po kasi meron ung kaso ko dw po eclamsia, ngbayad p po ako ng 3k . Then i ask them if my mre reimburse pko kasi nung ngfill up ako s PH. Pti po s prenatal , mkukuha ko po b ung prenatal benefits ko o sknla n yun ? Kung sknla mn pde po bko mgcomplain s PH ? Nkpngalan po b un s lying in o sken ? Di ko nman po ineexpect n my mkuha pko pra s ND ko, ung prenatal lng po. Thanks po. Hi, due date is jan 3, 2015. I paid 6 mos from july to dec. then 3rd week of january I’ll be going to Canada. How can I continue paying while abroad? Hi camille, what is your member category in your MDR? Individual Payor? Yes, you can avail in Jan. While in Canada, pay via I-Remit and other remittance firms there. Hi joan, did you pay as OFW? Do you have proof that you’re OFW? Your MDR should show that you’re OFW. If your Philhealth status is OFW, then you can avail. Hi kathrina, pay Feb to April or Jan to April at Philhealth with your ID so you can avail in April. Get your MDR and card. Dear PH, I was been in the Philhealth accredited hospital last night because I want my wife deliver our baby at the hospital. According to the hospital staff we need to have at lest 4 time prenatal to the hospital in order for us to be covered in Philhealth benefit due to the new laws of philhealth. Now My question is my wife prenatal record was in Barangay center. Can I still use my philhealth for him to deliver at the hospital.I was 9/10 kilometer away from the hospital. Are all members covered for Pre-natal Care? What are the requirements? Due date is January 29, 2015. Thank you. Hi Jennifer, not all. Only those who submit prenatal care ORs worth at least 1,500 pesos. For normal delivery, will 2K for the doctor be deducted from the professional fee of the doctor. For example if the fee of my doctor is 8K, the fee will be reduced to 6K? Hi Julie, yes, you’re correct. But in many cases, based on comments here, the 2k is not deducted, but is added to the PF of the doctor. hi ms nora, im planning to have a tubal ligation. can i use my philhealth as government member? how much can i avail? I paid Philhealth this november 2014 and I’ll give birth february 2015. I’m ofw and this is my status with Philhealth. Can I use Philhealth in the Phils even if I just paid this November? Hi Janice, I assume you paid Nov 2014 to Apr 2015? Or Nov 2014 to Nov 2015? Yes, you can use Philhealth. Since you’re OFW, your due date which is Feb 2015 should be within your validity dates in your premium receipt. Hi Gold, yes, it’s true, the 19k Philhealth deduction for CS is fixed, regardless of the actual bill, regardless whether the total bill is 20k or 100k or higher. Hi Mhaya, yes, the coverage for CS is 19k (11400 for hospital costs and 7600 for PF). There’s a coverage for eclampsia, 6,800 (2,040 pf and 4760 hospital expense), but sorry I’m not sure if it’s considered as a 2nd case. If it is, the coverage is only half (3,400), and some hospitals do not deduct the PF coverage. the clinic and ob are not accredited by philhealth. she’s our family doktor. can we reimburse from philhealt? Hi adam, sorry no. Clinic and doctor should both be Philhealth accredited. Hi I gave birth december 21. we’ll be discharged today. CS. I need to pay 10k as pf of doctor and 5k for anesthesiologist. The doctor said they don’t get anything from philhealth so I need to pay the whole 15k. It’s a public hospital with philhealth and I’m required to pay that much. Hi Pearly, ask them if you can use your Philhealth for your current confinement, as lying-in is usually for delivery. Child delivery is different from UTI, so you can use your Philhealth for UTI or other medical condition and also for your delivery later on (in another confinement) as long as your lying-in is Philhealth-accredited for that type of treatment. Hi Christina, I checked the list of accredited maternity clinics, and indeed all accreditations expire on Dec 31, 2014. If they’re not able to renew, then sad to say, you’ll not be able to use your Philhealth. They can renew anytime if they are qualified. Hi! I’m an active PhilHealth member and have been paying through my employer but I don’t have an ID yet. Given that, will I still be able to avail of the Philhealth maternity benefits? Thanks! Hi tin, yes, what hospitals usually require are your updated MDR, cert of applicable premium payments and employer-signed claim form 1. Bring any valid ID, in case they require an ID. Good day nora. individually paying member. what if my ob charges me pf. Can I refund from philhealth? Hi diana, Philhealth benefit should be deducted from the bill before discharge. Ask your OB because usually the 2k PF coverage for normal delivery or the 7600 PF for CS is not enough. Thanks for you response Ms. Nora! Where can I get those required documents? another question, we need to process 2 copies CF1s, one for the mommy and one for the baby. for the baby’s CF1, we will fill out PART II for patient’s dependent(baby) with the baby’s info already? Hi Nora. I am an OFW but my wife used her Philhealth. She is a teacher. She went into a hospital because of preeclamsia. The Philhealth assistance was there, it paid for the labs, room fee and doctor’s fee etc. But to my surprise,one of the doctors free was not paid by philhealth. In this case, how come that the doctor does not allow the patient’s bill to be deducted and be paid by Philhealth? Appreciate if you can help me out. Hi Stephen, for pre-eclampsia, the PF coverage is only 2,040 (hospital cost coverage is 4760), so it’s most likely your wife paid the balance PF. i’ll give birth in august. can i request my MDR as early as now from philhealth? Hi reghie, yes, you can request your MDR and your Philhealth card this month. Keep them clean and undamaged. Hi leapineda, yes, they should deduct 6500, or 8000 if you had your prenatal checkups with them and you have ORs. But talk with your lying-in about payments because different lying-ins apply the Philhealth coverage differently, based on comments here. Hi Bidette, prenatal checkups are paid in cash. You can submit prenatal care ORs worth at least 1,500 together with your maternity claim papers so that Philhealth can send a 1500 check refund if ORs are valid. Maternity clinics are required to have at least 4 prenatal checkups with maternity patients who use Philhealth. Hi karen, it takes 3 to 6 months. Your coverage should have been deducted from your bill. What did the hospital say to you? You’ll get the refund from them? Or did you file directly with Philhealth? Good day, how much should have been deducted for my baby’s care? Our bills were separate. i gave birth last dec 27. had Cs. deduction was 19k. Hi Hannah, newborn care benefit is only 1,750 pesos. Hi! Can i avail of benefits only if i give birth in pilipinas? i am an ofw and i will give birth here in Dubai. Hi Lydia, you can avail even if you give birth abroad, but the benefit is the same, only 5000 plus 1750 for newborn care and 1500 for prenatal care if you submit prenatal ORs worth at least 1500. If CS, coverage if 19k. File your claim within 180 days after discharge. Hi i am a philhealth member and i was employed last yr. I had a contribution from may – august 2014 but i resigned from my job. Then I updated my member status to informal sector/individual payor this january and i paid the first quarter of this year. Can.I avail my maternity? My due date will be on May 2015. Hi shan, yes, you can avail. Pay also for Apr to June. hi nora, id like to ask if im still able to avail of my philhealth benefits and newborn care even if i am no longer employed. my due date is in June and my last contribution is this month, January. Hi jean, pay asap your Feb to Mar (on or before Mar 31) and then later your Apr to June (on or before June 30) at the nearest Philhealth branch and update your data (change to informal sector) and get your MDR and Philhealth card. Or pay Feb to June at one time on or before Mar 31. Can my parents renew my MDR for me? If I register and pay for january-june, can I use it for my due date in april? Hi lianne, yes, you can authorize your parent to register or renew your membership with authorization letter and your ID. Your parent also brings his/her own ID. You can download the Philhealth Member Registration Form (PMRF), print it and then fill it up so your parent will just submit the form. My wife will have sc. I’m ofw and she’s in pinas. what benefit will she get from my philhealth as ofw? Hi danny, Philhealth deduction for CS is 19k pesos. Newborn care deduction is 1,750. Gud pm, can I claim from philhealth? I had cs but did not pay anything to the hospital, but I have receipts of meds bought outside the hospital. Hi jamie, did you file Philhealth papers with the hospital before your discharge? If yes, you can ask for refund from the hospital after you receive your benefit payment notice from Philhealth. Hi mom, you can no longer use your parent’s payments in 2013. It’s better that you register yourself as member so your baby will be your dependent. Your baby cannot be a dependent of your parents. Register asap with your ID or barangay certificate and pay Jan to Mar (600 pesos), and then in April, pay for Apr to June. Hi lai, did you pay Oct to Dec 2014? If yes, you can use it this March. Pay also for Jan to Mar 2015 for continued coverage. Hi Lexia, yes, register asap and pay Jan to Mar so you can avail in April. Hi nora i just wanted to ask coyz my sister gave birth and she was CS. However she’s my dda beneficiary and my dad wasnt able to pay the whole yr of 2014. if my dad pay that including jan-march 2015, couldmy sister use our dad’s philhealth? Hi John, if she has already given birth, sad to say, she can no longer use any Philhealth premium that your father will pay after the childbirth. Payment should be done before confinement. If your sister gave birth this Jan, your father should have paid for Oct to Dec 2014 last year (payment deadline was Dec 31). I registered july 2014 and paid 600 from july to september. I didn’t pay oct. to dec. Due date is feb.2015. Can I avail of benefits for Normal delivery? Hi, can I avail my philhealth benefit for my CS delivery for my second child this nov 2015, I already have my first child and its CS delivery too but I was not member of philhealth when I had my first child. Hi Kaye, yes, you can avail. Make sure you’re updated with your Philhealth payments, specially for July to Dec 2015. Hi May, yes, some hospitals are strict with non-updated documents. Show your marriage certificate to your HR, so that when they accomplish your certificate of Philhealth premium payments and claim form 1, they will use your married surname (the same with your surname in your updated MDR). Hi yara, I think Philhealth can only be used by paying patients. What I know is that for charity patients, PF and some hospital costs will be free, except meds, some lab exams and some supplies, which the hospital does not have. If you opt to be a paying patient and use philhealth, the PF that you pay in cash might be much higher than the costs of the meds you buy as a charity patient. But of course, I might be wrong. Ask others too. Hi maricel, sorry, claim must be filed within 60 days after discharge. Hi JK, based on what the hospital told you, 400 pesos might already have been deducted from your baby’s newborn care hospital bill. Hi maria, pay for Jan to March asap, and then in April, pay for Apr to June, so you can avail. Hi nora.can i still avail the cs maternity benefit if i didnt pay for jan-mar2015 and will pay for apr-june2015?i was employed and my last contribution was dec2014.i will give birth on july2015 by cs.thanks. Hi norie, yes, you can avail. But it’s better to pay March to July. hi, gud pm.last payment is dec.2014. my due date is april 2015. Can I use philhealth? Individual payer.. I’m a member since 2012 i only paid for about a year and a half.. My due date is june 2015.. I just want to know if I need to pay 9 months prior to my delivery to avail the benefits? Or can I just start paying this january 2015? As far as I remember my OB told me that I need to pay starting sept 2014- may 2015 for me to use my PH.. Thanks..
Hi pao, the rule has changed. Requirement is payment of 3 of the past 6 months. Pay for Jan to Mar asap, and then in April, pay for April to June, or pay Jan to June outright. Hi Nora,I’ll be giving birth ds coming june last week of the month,I have philhealth,just wanna know if how much is covered for regular delivery and is the doctord PF included on that? Hi Jacinth, at hospitals, the coverage is 5,000 (3k for hospital and 2k for PF). Submit prenatal care ORs worth 1500 so Philhealth can send you a refund check. Newborn care is 1750. Hi Kristine, if you have a valid reason for not presenting your Philhealth documents to the hospital for deduction, Philhealth might accept your claim filing. Yolanda survivors have a valid reason, so their filing is considered. Hi po. individual paying member, paid jan to march 2015 and due date will be on aug 2015. if i pay till dec 2015, can I claim benefits? thank you very much..
hi Rein, yes. In April, pay for Apr to June, and then in July, pay July to Sep.
HI,good am i just wanna ask if i can use my philhealth may last contributn is oct to dec 2014. by june or July is my due date as CS. hi im edna I gave birth last aug. I used philhealth for normal delivery then I paid around 1k+. I received yesterday BPN from pH. Can i get a refund? the letter says no check no refund. We bought the meds, we submitted the receipts. Good Evening. hi, i’ll be giving birth by May 2015 and already on leave since january 18, 2015. according to my payslip for month of Feb 2015 they have still deducted an amount for PhilHealth contribution and i think it will be the last one until i get back. I’ve requested for COC but according to it last contribution posted was Novemeber 2014 (w/c was posted Dec 11, 2014). Will this still be updated before April? Coz’ according to the Email sent to me by my employer “posting of payment would still be dependent as to when Philhealth confirms it.”. And please correct me if I’m wrong, i need to atleast pay for the month of JAnuary 2015 until March 2015 for me to avail it? Thanks and GODBLESS. Hi Nikki, pay for Jan to April asap as Individual Payor at Philhealth branch (show your leave form and ID) so you can avail and so you don’t need to get certificate from your employer. Hi maylene, yes, you can use it again, as long as you’ve paid your premium for Jan to March. hi..my due is on april and i only registered this febuary,can i avail the philhealth venefits? Hi mary grace, I’m puzzled why you did not present your Philhealth docs to the hospital before discharge. Your benefit should have been deducted from your bill. When were you discharged? If 60 days have passed since your discharge, you’re already late. The filing deadline has passed. If you’re still within the deadline, you can try to file an appeal with Philhealth but you need to request for claim papers and waiver from the hospital, plus your hospital bill and OR. Hi mary grace, write your name, email address and comment, and then press “Post Comment”. It is not published immediately, to prevent spam comments, so you cannot see your comment immediately. Hi my due date is on last week of june 2015 .i am a member since 2010 but i didn’t pay 2011 to 2014 , i only paid this jan 2015 to dec 2015. Can i still avail the maternity benefits? Pls reply…. Hi Ana, yes, you can avail anytime within March 2015 to Jan 2016.
great day mam nora. can i use both (mine and my husband’s) philhealth in processing payments for my soon delivery? (1st week of march) we are both voluntary members upon enrollment in philhealth and has paid the whole year of 2015 and can i ask if how much would be the possible slash from the amount that will soon be billed for us. thanks mam. hope you can provide us with the info we need. Hi dexy claire, you can use only your Philhealth. Next year, your husband can be the member and you’ll be a dependent, so you pay only one membership (show marriage certificate). Philhealth benefit for normal delivery at a hospital is 5k and newborn care is 1750. Hi Charlote, sorry you cannot use Philhealth for prenatal checkup. But you can accumulate your prenatal care ORs worth at least 1500, and then file them later on with the hospital together with your maternity papers, for future refund from Philhealth. Hi, PH. What if the lying-in clinic is not philhealth acredited? Can I file a reimburstment after giving birth? Thanks for the reply. Hi Katherine, sorry no, it must be accredited. And Philhealth no longer allows direct filing by members; it should be through the accredited hospital or clinic, through deduction. what if the hospital did not want to gave claim?because we didnt declare philhealth to them? ms.nora i discharged last dec.05 2014….so it means no more chance to claim the benefits? Can I avail? mar.5 is my due. can I use it immediately? Hi sheila, yes, pay asap for Jan to Mar. Pay at philhealth so you can get your MDR and card. Bring your ID. Fill up PMRF form. hi gud day! what are the requirements to avail of philhelth maternity benefits? im 5months pregnant. last 2013 I registered but did not pay contribution. what should I do? thanks. Hi sarahjane, go to Philhealth with your ID, update your data, get your MDR and card and pay Feb to June. hi..my due date is last week of may or first week of june..what month should i pay for my PH to get my benefits? mam my girlfriend is pregnant and i think its CS, We both haven’t Philhealth, She was 19 yrs old. is it ok to use a philhealth of her dad? Hi Romje, yes, your girlfriend can use her dad’s Philhealth as her dependent (her name must be on her father’s Member Data Record). When is she giving birth? Can she accumulate 3 months of Philhealth payment till month of delivery? I ask this because it’s better if she gets her own Philhealth membership so that her baby will be her own dependent, in case the baby needs extra care. Yong dad, puede niyang dependent ang anak niya na minor, pero hindi puede ang apo. But if there’s no more time to pay for 3 months, then yes, she uses her dad’s Philhealth. Isa pa, you ask the hospital kung covered ang new member na 3 months pa lang ang nabayaran (kasi new member at minor pa lang). due date is feb 27 2015, lying in. The nurse asked if I have ph, I said I have but expired. was govt employee before. They told me I can use ot if I pay 2600 through them. They’ll be the ones to process and update my Ph. I was told I won’t pay anything to the lying-in, only the 2600, and I also have Philhealth for 1 year. Is that true? I won’t pay the lying-in except for the birth cert which is 300 pesos. Is this true? Hi grace, sorry that I saw your question only now. If they’ll do what they told you, then that’s valid. If you register by yourself at Philhealth, and you pay for 1 year, it costs 2,400 pesos (200 pesos per month). It’s likely that the extra 200 is for their time and effort in processing your Philhealth. But I’m not sure if they can claim for your maternity benefit if you give birth on Feb 27. If you give birth in March, yes, they can claim. Anyway, I hope you’ve given birth and all is well. Hi Michelle, update your data at Philhealth with your ID, and pay March to August or March to Sept so you can avail. You can pay March to June asap, and then pay July to Sep in July. Hi I’m Ex abroad. member category is indigent. Sub-category migrant worker. effected period 01/01/2014-12/31/2014. I gave birth may 12,2014 at a private hospital. They asked for my MDR and philhealth form CF1 before I had my cesarean operation. (CS) My question: is there a chance I can reimburse from philhealth? I’ve been waiting for my refund. I have not yet paid philhealth as I’m still here in Phils (full time momy) Thank you so much and more power this program. Hi erlinda, do you mean you did not get any Philhealth deduction in your bill even if you have submitted complete Philhealth papers? If not deducted, wait for your benefit payment notice from Philhealth via registered mail and then ask for your refund from the hospital. Processing takes 3 to 5 months or more. You can make follow-up at Philhealth. To be a member as individual payor, register at Philhealth with your ID and pay for 1 quarter. Bring your baby’s birth certificate and register him/her as your dependent. I paid yesterday at philhealth for jan-june 2015. due date is june 17,2015. if ever I give birth may or july, am I covered? thank you po. Hi Aileen, yes, you will be covered. hi po ms Nora,I’m not yet a member. my due date is first week of april. is it still OK to avail benefits if I’ll register to be a member this march…and how many months I’ll pay my contribution. thanks po. hi good afternoon ms Nora. I want to know if I can avail maternity benefits if i’ll register to be a member this march. how much I’ll pay? my due date is on april 8 this year.thanks.hope for asap answer.god bless! hello mam, I’ve paid oct nov dec 2014. I gave birth nov 11,2014 ceasarian. we filed philhealth but was discharged saturday. so we used our orange card. My bill was less than 10k. So we did not pay anything as we used our orange card. Can I reimburse? Mam, january to june 2014 nakapag bayad po ako sa philhealth. Ung july, aug, sept.2014 lng po ang hindi ko nbyadan. Saka ung mga resibo ng binili nmin mga gamot binigay ko po sa philhealth. Hi, iam an OFW and the lAst time i paid for my PH was from sept 2013 (good for a year) in poea main office. I went home last may 2014 and got the poea exit form but did not pay for PH since it is still good until august. Just got home last feb 2015 and will be delivering my baby in april. Would i still be able to use my philhealth? Can i pay my contribution in any philhealth office? Please reply, iam going to PH ofc on friday. Hi Stephanie, yes, you can go to any Philhealth office. Bring your ID and proof you’re an OFW (pay March to May or pay for 6 months to 1 year). But if individual payor, pay for Jan to April so you can avail. Hi Nora! I’ll have my scheduled CS on the 21st this month. Since i have difficulty with my pregnancy,i was forced to go on leave of absence last Dec. I have 3 consecutive contributions prior to March (Sept Oct and Nov). Will i be eligible for the benefits? If yes,how much will be your coverage as my doctor gave me a package price of 35k? Thanks! Hi Maki, pay for Jan to March asap, so you can be eligible. Coverage for CS is 19k (11400 for hospital costs and 7600 for PF). Hi Nora,just a clarification with your response, why do i still need to pay from January to March when i have at least three payments 6 months prior to my expected delivery date which is on March 21st? That’s the minimum requirement right? hi.im philhealth member and just resigned from my job last jan. i checked with philhealth and the company paid till dec.. so i changed status from employed to voluntary and paid january- march. my due date is this month. the maternity lying in said that they cannot deduct the philhealth right away and they will just reimburse it be most of the patient they had have probblems with the form and requirements. i had my requirements checked by them but still said that it will be reimbursement process. my question is how long will it take for me to get the reimbursement because the OBY said sometimes it took 6 months to get the check? Hi sofia, Philhealth’s policy is that Philhealth coverage should be deducted from your bill. But if we try to understand the lying-in, which also needs cash to pay their employees, I think as long as they will really file your Philhealth claim, then you might want to consider them. Yes, payments from Philhealth take 2 to 5 months or more. A benefit payment notice from Philhealth will be sent to your address. Hi Miss Nora, this is Ann po. Im about to deliver my baby this month po. About 1yr I haven’t paid. If I pay this month for whole yr po, can I avail? Please need your help po. Hi annely, yes, pay ASAP for Jan to March or Jan to June at Philhealth with your ID. Get your MDR and card. hi, about maternity benefit, does it cover other expenses? the maternity benefit I have is only for delivery. Laboratories and Other expenses are excluded. Does Philhealth cover them? Do we need to do something to get the benefit? or is it automatic when confined? Hi jovelyn, pay Jan to March asap, before March 31, and then pay April and May in April or May. I’m a voluntary member. I paid jan to march. april is my due. If earlier than april, will I be covered? ? will have CS. Hi ms nora. can I avail of Philhealth benefits? I paid jan to march. April due date. CS. Hi marinel, yes, you can avail. Pay also Apr to June for continued coverage. Hi marinel, if you have your CS in March, yes, you’ll be covered. I just want to know if it is true that we can’t use our PH if we are admitted in a private room? Hi ivy, that’s only true for no-balance-billing patients in government hospitals and certain public hospitals that have rooms exclusively assigned for those using Philhealth. 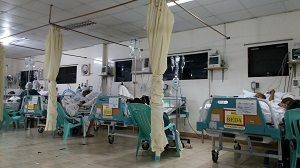 But in almost all accredited hospitals, patients willing to pay much more can choose private rooms and use Philhealth. Hi Nora, The hospital had filed the approval for reimbursement to Philhealth. How long will it take for releasing of the cheque? Hi Ghin, based on comments, it takes 2 months to 5 months or more. Hi she, your payment plan is good and correct. If Apr to Sep are paid on time, you will be able to avail. Hi maricel, in April or May, pay again for Apr to June, and then in July or Aug, pay for July to Sep, so you can avail. Hi i am nyka, my delivery will be this coming april 6, 2015, i am not an active member of PH but my ob gyne suggest me to pay it for thr whole year of 2015 froom jan to dec 2015. She told me the process has changed. Is it true? Can I still pay? Might have cs because my baby is big. Hi nyka, yes, register at Philhealth with your ID asap. Must be on or before March 31. You can pay Jan to June, but go ahead, pay Jan to Dec so you’ll be complying with your OB, and so your coverage is continuous. Sept 2015 po ako due..
if i pay july to dec 2015 maggamit ko po ba ung maternity benefit? Hi.. I lost my philhealth id.. But my contribution is still on going and i have my philhealth number.. Can i still use my maternity benefit even without the card? Hi Len, yes, present your updated MDR and your premium payment receipt and your other ID. Gud evening. I’ll give birth this july. I paid philhealth 1 year contribution. Can I use it this july? and I had my prenatal at the clinic. can I avail of Philhealth if I give birth at a hospital? Hi Kathlyn, does your one-year payment include April to June? if yes, you can use it in July. If you like to give birth at a hospital, you should have your check up there and talk with an OB about Philhealth package. Gud pm. I have a wife, she is 4months pregnant, i have not yet applied or member in philhealth. But i was planning. My question is if i applied to be member in philhealth next week can i use the benefits in philhealth when my wife given birth on november 2016? Will my final bill amount be small? Need help. Hi Hash, you should pay July to Sep so your wife will be covered in Nov. Pay also Apr to June so she and you are covered immediately. Bring your marriage cert and register her as your dependent. Your bill will depend on the fees charged by the OB and hospital. Remember normal delivery benefit is only 5k and only 19k for CS. Ask the OB’s Philhealth package. new Philhealth member. I need it July. What months should i pay. How much? Hi Angelica, pay Apr to June ASAP –deadline June 30. 600 pesos. Hi im a philhealth contributor..my first contribution was last june 5 and until now it’s being paid by me and my company as im still employed. my due date is on october..can i avail d benefits? How about prenatal? How can i avail those benefits? Pls reply po. Hi Precious, make sure you’ll be able to pay for July to Sep so you can avail. Submit to the hospital prenatal official receipts worth at least 1,500 pesos. Philhealth will be the one sending the refund. How about for the new born care? What are the inclusions? Hi po gud day! Just asking if the OR of medicines/vitamins can include in the benefits worth 1.5k for prenatal? Hi Eduardo, yes, the ORs should be in the mother’s name. Add consultation fee ORs. Hi may jan, you should pay Apr to June or July to Sep or Apr to Sep so you’re covered immediately. Pay at Philhealth so you can get your MDR. Bring your ID. hi po. voluntary payor po ako i started last jan 2016. manganganak po ako this month of june hopefully normal. nagprenatal po ako sa isang government hospital at plano ko pong manganak sa isang semi-private na hospital. can i still avail prenatal care? i have my OR’s. kung matutuloy po akong manganak sa isang semi-private, ano po bang procedures para makaavail ako sa prenatal care? saan ko po ipapasa itong mga OR’s ko? pwedi din po ba akong makaavail sa newborn care? Hi mary ann, you include your prenatal ORs in your claim forms. For newborn care, fill up another claim form 1 for your baby. File upon admission so you’ll know the hospital’s Philhealth procedures and rules early. ask if i should avail reimbursement from philhealth even if the lying-in doesn’t have a philhealth accreditation? Hi ria, sorry you cannot use Philhealth, whether deduction or reimbursement, if the lying-in is not Philhealth-accredited. Hi ria, pay for July to Sep or for continued coverage, pay July to Dec.
Hi mariz, ask your doctor if that is his/her Philhealth package for CS. Based on others’ comments here, that amount — 21 to 25k — is mostly the doctor’s fee, and the Philhealth coverage will be used for the hospital. hello po ms.nora can I use my father’s philhealth po for my pre natal and for my delivery po? Hi jermie, do you mean you’re younger than 21? It’s better that you register as a Philhealth member so that you can cover your baby. Your baby will be your dependent. Your baby cannot be a dependent of your father. Good pm po can we reimburse what we spent for meds bought outside the hospital when I gave birth? About the prenatal po 1500, where can I get it? hi! my daughter is pregnant and her due date will be on Nov. 4,2016.she is only 17yrs.old. could she avail the benefit? my husband paid his contribution last may 2014. Hi Maria, I suggest that you ask your daughter to register with Philhealth and become a member. Why? So that her baby will become her dependent and can avail of Philhealth in case her baby needs some care. Your daughter can be your husband’s dependent, but the baby (his grandchild or apo) cannot be his dependent. She should pay for July to Sep, or better yet, pay July to Dec for continuous coverage. Hi brigith, what months did you pay? If you paid for April to June, you can use Philhealth in July or August. Ask ko lng po if i can still have the chance to avail my maternity benefits if Edd ko po is this coming oct.16, 2016..how po? Sayang din po kc, my philhealth number nko dq q lng po nhulugan..pwede ko p po b mhabol? Hi merielle, yes, pay asap for July to Sep so you can use Philhealth in October. Hi ms. Nora. I just registered today in ph. Can i pay my premium starting november 2015 up to september this year? Hi rose, sorry you can no longer pay for past quarters, and payments for past years are no longer useful. If you’re OFW, you can pay for July 2016 to July 2017. If paying here in the Phils, show proof that you’re OFW. If voluntary, you pay for July to Sep to July to Dec.
For july to september pwede ko naa po ba sya mgamit ng last week of august? Hi maricel, dapat kasi nag-deduct yong lying-in. Anyway, kapag meron kang matanggap na benefit payment notice from Philhealth via mail, it means Philhealth has already paid your lying-in and you can refund your payment. Iba-iba rin ang Philhealth processing time — 1 month to 5 months. Hi lhen, pay asap for July to Sep so you can use it in Oct. It’s also good if you pay for Oct to Dec so your coverage is continuous. Hello po, I will give birth on Oct 2016, but last employment ko po was Oct 2015, and did not changed my status to Individual payor and did not continue contributions. Member din po husband ko, can I still use my Philhealth benefits or my husband’s? If sa husband ko po, kailangan pa po nya mag file ng ammendment sa data nya pra maging dependent nya ako kahit may sarili po akong Philhealth Membership? Thank you. Hi Christine, yes, you can use your husband’s Philhealth. and you’re right, dapat your husband updates his Philhealth data by presenting your marriage cert (xerox and orig) plus a letter from you requesting Philhealth to cancel your membership because you’re already unemployed and to register you as dependent of your husband. He will fill up the registration form and check FOR UPDATING. Hello po! Ask ko lng kung magagamit ko po b ang philhealth ko my due date is on jan 1,2017. New member po i pay july to dec? Magagamit ko po kya?? Salamat sa reply. God bless. Hi Grace, yes, you can use Philhealth within Sep to Mar 2017. Hi Maye, sorry for your baby. Ang intindi ko, mukhang yong 3000 na deducted from your bill is yong coverage for your normal delivery. Noong nag-submit ka ba ng claim form 1, isa lang? Name mo lang? If one claim form lang, mukhang yong normal delivery mo lang ang na-file. Hindi na siguro na-file yong sa sepsis kasi hindi naman na-treat. Parang na-diagnose lang as cause of death. Yong newborn care, another claim form 1 din yon. In your baby’s name dapat, kung na-file ito. Did you receive a benefit payment notice from Philhealth via postal mail? kasi doon mo makikita how much Philhealth paid your hospital. hi.manganganak po ako dis january 2017,nagstart po ako maghulog ng contributions dis august magagamit ko po b ang philhealt ko for my dilivery voluntary payer po ako tnx. Hi Jay-ann, yes, continue paying. Dapat mabayaran mo ang Oct to Dec 2016 so you can avail in Jan 2017. Can i use my PH my due date is on oct8 but my last contribution was on april.. 3yrs na po q naghuhulog.. resigned lng po nung april..
Hi shane, yes you can use Philhealth in Sept.
Hi lhory, yes, you should pay for July to Sep (payment deadline Sep 30). It’s also good to pay for Oct to Dec in Oct para you are covered continuously. how many pregnancy can be claim? Hi Ariane, dati, up to 4 normal deliveries lang. Pag CS, all are covered. Ang alam ko applied na yong new policy na lahat na ng deliveries ay covered. Para sure, ask mo na lang sa hospital or clinic where you are having your checkup. Hi Scarlet, yes, puede pa. Register asap this month. Pay for March to August (6 months = 1,200 pesos). Puede ring Jan to June (1,200 so that the next day after payment, covered ka na agad). Puede ring 3 months muna ang bayaran mo, then pay every quarter. Starting Oct 1, nine previous monthly contributions na ang required, hindi na lang three contributions. hi po, ask ko lang if possible po ba na makakuha ako ng refund kasi 3 po yung anak ko then kahit minsan di ko naifile sa philhealth everytime na manganganak ako, pwede pa po ba yun ifile kahit malaki na mga anak ko, sayang din po kasi eh dalaga palang ako naghuhulog na ako ng philhealth through my employer? Hi Virginia, sorry hindi na puede, kasi merong deadline ang pag-file sa Philhealth — dapat within 60 days after discharge from hospital. At saka matagal nang ang rule is ibigay ang Philhealth papers bago magbayad ng bill para madeduct na ang Philhealth sa bill. Good day po last year 2016 nabuntis po ako at nanganak. Member po ako ng philhealth(indigent)Nagpapre-natal check up po ako sa private hospital,ultrasound at laboratory.after the check up,ultrasound at laboratory ko na po nalaman na member ako ng philhealth(indigent) is it possible po ba na mapareimburse ko sa philhealth ang mga nagastos ko sa ultrasound at laboratory kht year 2018 na po? Pls.advice maraming salamat po. Hi Ivy, sorry hindi na puedeng ma-claim kasi dapat ang mga prenatal receipts ay na-submit mo sa hospital bago ka nadischarge, at dapat naisama doon sa claim forms na na-file ng hospital with Philhealth noon.